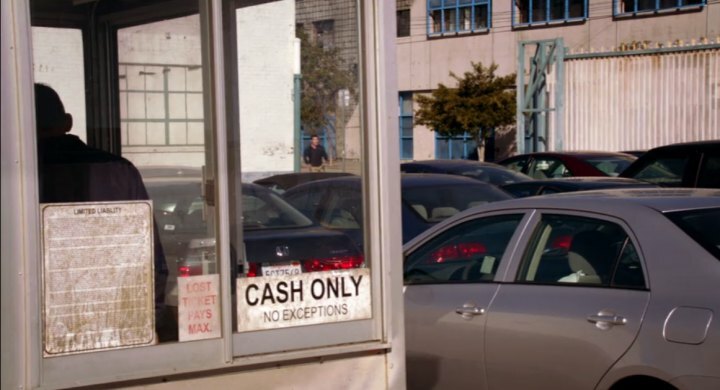 What BMW is Cece driving? 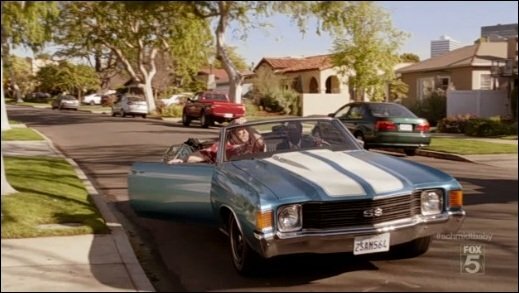 It looks like Winston got an early-1970s Chevelle SS to replace his Explorer. APS221, you should add those. That Chevelle SS is a '72. 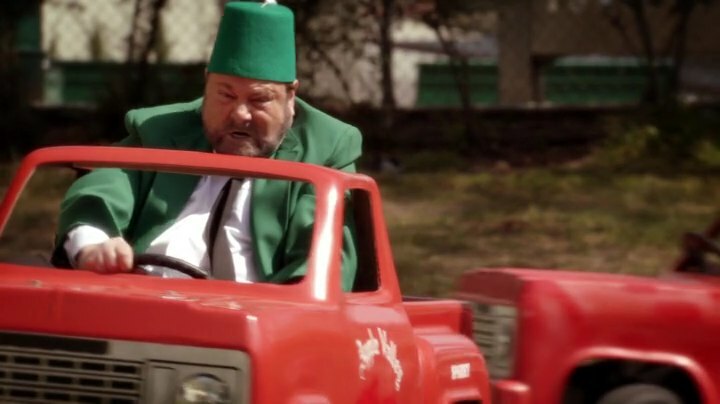 Looking forward to the Ford Econoline in episode 1.12 driven by the supposed pervert that claimed to be offering candy to little Jess. UPDATE; JULY 19, 2012: Scheduled for releas on October 2, 2012. Good news! 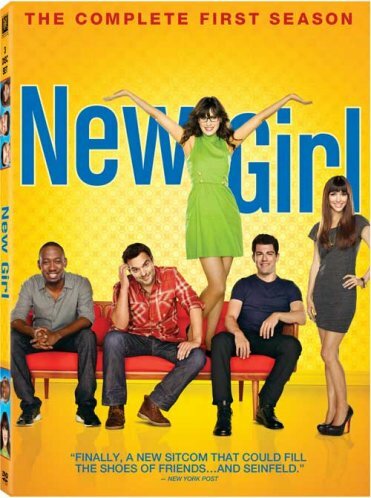 New Girl has been renewed for the 2013-14 season! 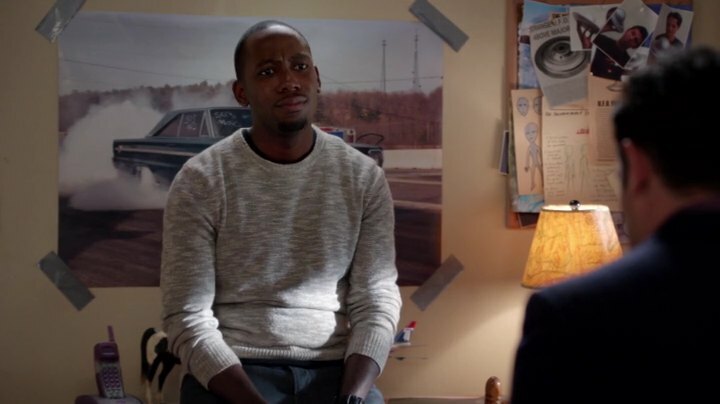 So, there's gonna be a Season 3! 1966 Plymouth Belvedere or Satellite. 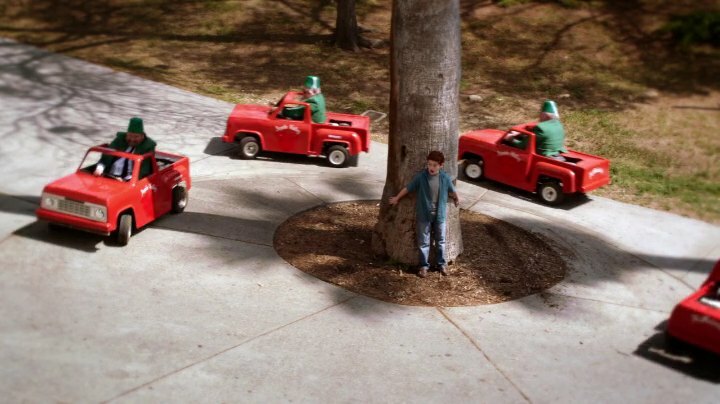 Those look like imitation 1978 Dodge Li'l Red Express Trucks. 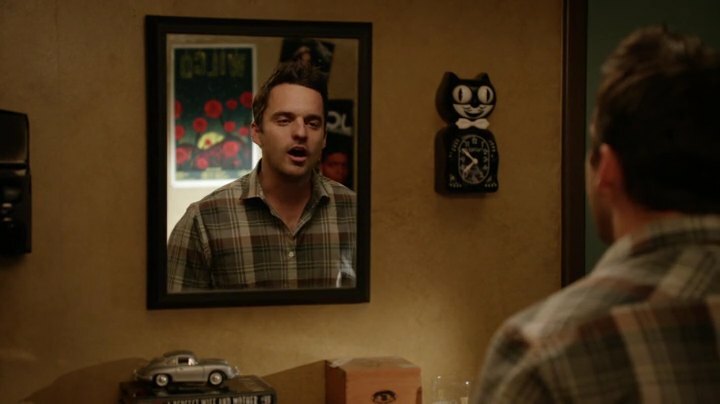 Show is amusing, some parts of it are funny. Not the best sitcom I've seen. 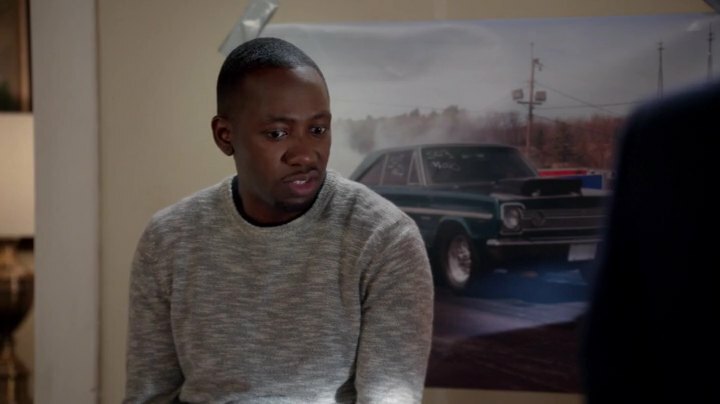 Did they gain a Toyota sponsorship for Season 5? Seems to be a lot of new Toyotas for characters that were driving older cars before. Not every background car needs to be added. 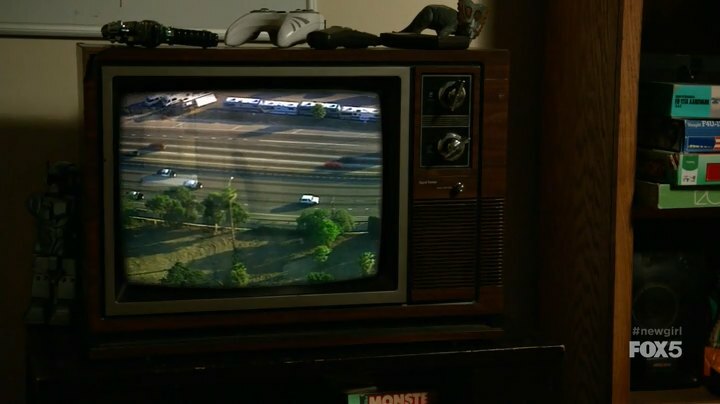 If there are many background cars in a shot, we usually pick the most prominent one and mention the others in the comments. The exceptions to this would be for something rare or unique, which Camrys are not. Please don't. Antp is working this series. You are only using his photos. And the Camrys are barely seen, so they do not qualify as entries. Not trying to be mean to you, just trying to get you to understand the rules. We have specific rules for background cars that you are not following. Please review the FAQ/Help page. If you read the page, you wouldn't keep adding cars with the same issues. If I was being mean, I would just delete your entries and not tell you why. Also, You are trying to add entries to a series the board webmaster works on. If he thought it should be added, he would have added it. Finally, adding entries for caps that someone else has worked on is wrong. It's a bit fuzzy. Maybe too much compression? And the size should be limited to 720 pixels wide. Many rules, I know. Identical modes without role should be regrouped, so no reason to have two pages for 2007 Camrys. Moreover, as they are the same generation as /vehicle_618880-Toyota-Camry-XV40-2010.html they could/should be listed in the comments there, as these are very common car and not especially noticeable. The RAV4 is rather far in background, no real point to list it. antp wrote Identical modes without role should be regrouped, so no reason to have two pages for 2007 Camrys. It does not matter, that's the same generation (and the 2007 could be a 2010 as well) and for what is seen if it, they can be grouped. The 2000 model however is ok, as it is a different one, and seems well visible. Quote Do not post background vehicles that are seen through the windows of another car (i.e. far away, seen between actor heads, or when the foreground car is more visible than the background one). Do not post pictures of background vehicles that are blurred or obstructed. See here: /help.php under "Additional guidelines for background vehicles (note that these apply only to 1-star vehicles)"
Of the four, three deleted as too background. chicomarx wrote Of the four, three deleted as too background. Unfortunately it is still too far in the background to be added. The other two suffer the opposite problem, they are too close and too common to be added. Toyota Camrys have been the most popular car in the United States for about 20 years now, so they are going to be seen in just about every US production. We do not need to add every one of them. I saw car Y in movie Z, why is it not included? Maybe...it was not estimated important enough. For example, a Citroën DS in a 1960/1970 French movie is not especially interesting if visible in the background since they are visible in nearly all French movies of these years. •Pictures must contain sufficient detail for potential identification of the vehicle. •Do not post very small pictures of background vehicles (note: 90 pixels wide for a 720 pixels image is about the limit for useful pictures of most background cars). •Similar background vehicles in a movie should be regrouped by posting additional images in the comments of a vehicle page. •Do not post background vehicles that are seen through the windows of another car (i.e. 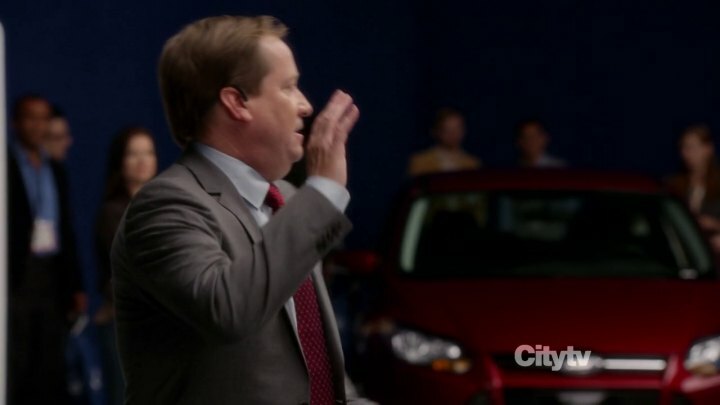 far away, seen between actor heads, or when the foreground car is more visible than the background one). •Do not post pictures of background vehicles that are blurred or obstructed. •Avoid posting pictures of vehicles that are seen for an extremely short time (for example: can only be seen in a frame by frame advance of the movie). •If a picture has several background cars visible, do not make a separate page for each one. Rather, make a page for one (or two, if interesting or well visible) and list the others in the comments for that page. @Forrest Lesak - Is this one for the car that Winston is in or the one next to that? night cub wrote @Forrest Lesak - Is this one for the car that Winston is in or the one next to that? Thank you. 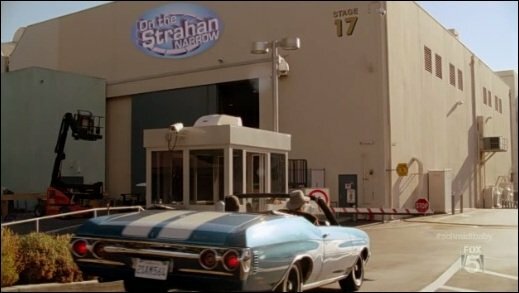 Since Winston is inside it, it was being used on the show, so it's really a two-star car. When a car is deleted because rejected, do not re-add it, you do that often here, and that's the kind of behaviour that will get you banned from contributions (as well as submitting too many too-background vehicles). When a car is rejected, just post it here in the comment (like night cub did here above) if you want to keep a trace of it, or in the comments of another similar model if there is one. antp wrote When a car is deleted because rejected, do not re-add it, you do that often here, and that's the kind of behaviour that will get you banned from contributions (as well as submitting too many too-background vehicles). This series is being worked on by antp. He is the only one that can add entries for the current season. Well I already added the images for the cross-over episode, so I guess that I either missed that Camry or it was not visible enough to be listed. If it is again a rather background vehicle, either post it in the comments of one already listed, or post it here. antp wrote Well I already added the images for the cross-over episode, so I guess that I either missed that Camry or it was not visible enough to be listed.